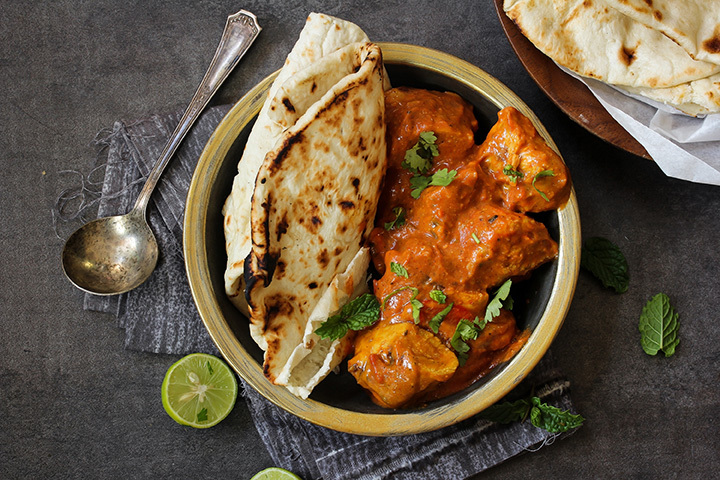 Indian cuisine is some of the most flavorful in the world, with the many spices used and variety of ingredients. From fluffy naan to biryani rice to sweet gulab jamun to aromatic chicken tikka, there is something for everyone to enjoy in Indian cuisine. Grab a bite of heaven at one of the nine best Indian restaurants in South Dakota. Rapid City’s Everest Cuisine is a hidden gem, located in a small and unassuming storefront but serving up the best Indian dishes in the state. The expert chefs serve up authentic Indian and Nepalese food and have won several local awards for their flavorful fare. The menu includes favorites like tandoori specials, biryani rice, naan and kulcha, desserts of either gulab jamun or kheer, samosas, pakoda, soup, salad, curry, masala, paneer, chicken dishes, lamb dishes, seafood, and more. Flavor Indian Cuisine in Brookings is both a restaurant and grocery store for Indian and Asian cuisine staples. The grocery store offers items from around the world including the Middle East, Africa, India, Korea, and China. Fresh Asian vegetables are available on Tuesday afternoons. The restaurant stays true to classic Indian cuisine from the western region of Gujarat. Local menu favorites are the samosas, aloo tikki, paneer, pakodas, naan, goat meat curry, spinach palak, navratan korma, chana masala, and coconut basmati rice, but there is something for all taste buds on this dynamic menu. Located in a historic 1886 building, this cozy and charming restaurant features Nepalese, Indian, and Tibetan cuisine crafted by experienced chefs. The low key interior is intimate and features a copper bar area and original brick walls. The menu includes tasty items like samosas, pakoda, salad, soup, naan, tandoori dishes, both vegetarian and meat masala, aloo gobi, curry, vindaloo, lamb dishes, seafood, and even dishes made with tender Florida alligator like alligator bhuna, alligator kadai, and alligator tikka masala. The Shahi Palace in Sioux Falls serves up the tantalizing authentic dishes of northern India, prepared by award winning chefs who are extremely well versed in Indian cuisine. A selection of dishes are prepared in the traditional tandoori oven, giving food a distinct and flavorful taste that is hard to replicate. The restaurant is open for both a lunch buffet and traditional style dinner. Shahi Palace has locations in both Sioux Falls, South Dakota and Sioux City, Iowa. Catering is also available for both large and small events. The acclaimed Himalayan Kitchen is located in Rapid City on busy Mount Rushmore Road. The menu offers traditional Indian fare like samosas, pakoda, paneer, lentil soup, salad, vegetarian specials, paneer, curry, alu matar, masala, chicken dishes, lamb dishes, seafood, biryani rice, tandoori dishes, naan, a specialized kids menu, and desserts like kheer rice pudding, mango kulfi, gulab jamun. While sit-down dining is available, many customers order from the takeout menu as well. Conveniently located in the scenic shadow of Mount Rushmore in the small tourist town of Keystone, Himalayan Kitchen is a favorite for visitors and locals alike. The award winning restaurant specializes in both Indian and Nepalese fare. The outdoor dining area has a second story patio area with views of the bustling downtown and the nearby forests. The menu includes items such as appetizers, vegetarian dishes, tandoori items, Himalayan Indian cuisine, biryani rice, naan, and desserts. The Khorasan Kabob House offers not only Indian food but also food from Afghanistan, the Mediterranean, as well as several other Middle Eastern countries. The lunch buffet is available from 11:00 a.m. to 2:00 p.m. and offers those new to Indian and Afghan cuisine a chance to try a little bit of everything to see what they like the most. The restaurant has been awarded a TripAdvisor Certificate of Excellence every year from 2014 to 2018. In addition to mouthwatering food, the Khorasan Kabob House also offers a large selection of handmade Afghan carpets available for purchase. For over a decade, Curry Masala has provided Rapid City with delicious Indian cuisine and warm service. In addition to a large offering of vegetarian items common in Indian cuisine, Curry Masala also provides gluten free, dairy free, and vegan menu to accommodate all customers with dietary needs. Everest Indian Cuisine in Sioux Falls specializes in authentic and tasty Indian and Nepalese cuisine. The menu includes a wide range of items with something for everyone, including chicken dishes, lamb dishes, soups, salads, bread products like naan, seafood, tandoori dishes, biryani rice specials, appetizers, vegetarian dishes, a kids menu, and desserts like kheer, gulab jamun, mango kulfi, and pista kulfi.